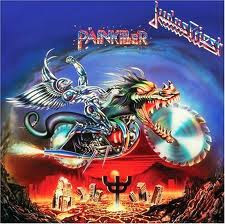 Hall of the Mountain King: Still Spinning: Judas Priest, "Painkiller"
Still Spinning: Judas Priest, "Painkiller"
In 1990, Judas Priest was coming out of something of a tough period. After recording metal classics like British Steel and Screaming for Vengeance in the early 1980s, they had released the polarizing Turbo, with its synth sounds, and the lackluster companion piece Ram It Down. They needed to make a statement and reclaim their stranglehold on the metal world. And Painkiller was that statement. British Steel and Screaming for Vengeance are fantastic albums – absolute classics of the metal genre. But when I really need a Priest fix, Painkiller is my go-to album. It remains my favorite work from their entire catalog. That statement they were looking for was made right off the bat with the thundering crashes of then new drummer Scott Travis that opened up the title track. Then K.K. Downing and Glenn Tipton come in with a thrashing guitar riff and the Metal God himself, Rob Halford, is shrieking like he never has before. It’s the heaviest thing that fans, to that point, had ever heard from Priest. And it’s absolutely incredible. To this day, I can’t listen to the song without getting up, throwing horns in the air, playing air guitar and banging my head. To me, it’s one of those songs that captures the essence of what heavy metal is all about – balls to the wall speed, aggression and power. The thrash/speed metal influence continued throughout the album on songs like “All Guns Blazing” and “Metal Meltdown,” which gave Tipton and Downing opportunities to shred to their fullest potential. Travis, who had previously played in technical rock outfit Racer X, brought a new dimension to the sound that former drummer Dave Holland, who had departed due to health and personal reasons, just didn’t have. That’s never more apparent than on another of my favorite tracks, “Leather Rebel.” Travis just thunders away on the song. I’ll admit that I’m no expert on drums, but even I’m impressed with the double bass attack on the tune, and it was the one song on the album that all of my drummer friends were falling over themselves trying to learn. Judas Priest didn’t totally abandon their classic sound for speed, though. “Night Crawler,” one of the more sinister tracks on the album, has that essential Priest sound, and has become a staple of their live shows over the years. “One Shot at Glory” also hearkened back to the band’s early days with a great, memorable vocal melody. Even when the band did slow down on this record, though, it was still powerful. Despite its synths, “Touch of Evil” is definitely a high point of Painkiller. It opens with a slightly classical-sounding keyboard line, then a big, bold classic Priest guitar riff. Halford remains in his lower registers for much of the song, a contrast to the all-out shrieks and growls found on many of the tracks on the album. Then there comes that big, theatrical chorus where Halford is the puppet master holding the listener in his hands, hanging on his every note. You just picture him as a maniacal villain delivering the line as he calls to his minions. It’s great stuff, as is the entire album. Sadly, Halford left the band just a few years after the recording of this album, and they were dormant until 1996, when they emerged with the Tim Owens-fronted Jugulator – another fine album in my opinion, but one I’ll leave for future exploration. Though their reunion album Angel of Retribution in 2005 was a good one (I won’t mention Nostradamus), they couldn’t equal the power they’d delivered on this one. I would have liked to have seen a more immediate continuation in this vein, and I guess we did in a way with Halford’s Fight, but I’ve always wondered what that next record might have sounded like. I love the classic Priest albums as much as the next metalhead, and I can’t imagine a world without “Breaking the Law” or “Electric Eye” or “The Ripper.” But for me, Painkiller is and always will be the pinnacle of their power. Review: Holy Grail, "Ride the Void"
Review: 4ARM, "Submission for Liberty"
Review: S.U.N., "Something Unto Nothing"